Let me get this out there right off…I do not want to wait for the Lord. I know, you probably thought this would be an inspiring Bible quotes post about waiting for the Lord…hopefully we’ll get to the inspiring part right? 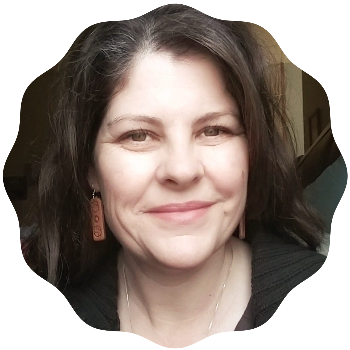 It’s not that I mind waiting, I am a mother of seven…waiting is just something I do. From the moment I wait for the little pink lines to confirm a pregnancy, I begin the process of waiting. I wait in the car during soccer practice and piano lessons. I wait in the chair as letters arrange themselves in a young mind during a spelling test. I wait for the spaghetti water to boil, the dishwasher to finish and the hot water heater to refill so I can shower…I wait. 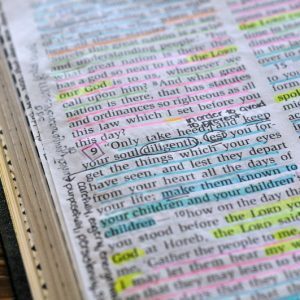 The thing with waiting on the Lord–we’re on different time schedules…if He is even on a time schedule. Although sometimes annoying to have to wait for the hot water heater to refill–I know if I give it a good half hour, I’ll be able to enjoy a nice hot shower. Same with the dishwasher and spaghetti water; I know if I just wait, I’ll be rewarded with clean dishes and boiling water. Piano and soccer practice has a fairly clear end time so I can “see” the end result of my waiting. I actually enjoy those quiet moments of waiting in the car by myself. But waiting on God; I don’t know when and even if I will see the reward of my patience (semi-patience?) in this life. 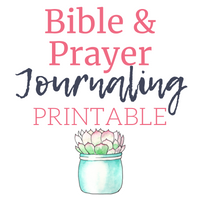 I mean I send up these prayers and I know He hears me because I believe His Word to be true, but sometimes–ok, LOTS of times, I want a tangible confirmation that my prayer was indeed received and I don’t know, maybe sitting in the que waiting for approval? See, I’ve got these children, these souls I’m supposed to be taking good care of for Him and I’d like to know it all turns out ok in the end–it would make the hard days less hard, or maybe I should say less intense. I would know those hard days are just a blip on the radar of life, a speed bump, a momentary speck in the economy of eternity. You know how Flylady says you can do anything for 15 minutes? Well, I could manage my impatience, endure a childhood tantrum and not second guess myself if I just knew…knew those prayers for the salvation of their souls had already been answered. But guess what, the answer to my waiting problem is actually, in a way, more waiting–inspiring Bible quotes yet? I don’t need to pray for more patience, that won’t solve these heart wrestlings of wanting to know how it all works out. I need to pray for strength and courage. Last I knew, strength and courage don’t just happen..kapow! They are a process…and a process is time…waiting…So I begin the process of praying for strength to endure the present trials and courage to trust that God loves them more than me…more than me…and wants even better for them than my feeble, imperfect heart can even conjure up in my whispered prayers. …suffering produces endurance, and endurance produces character, and character produces hope, and hope does not disappoint us, because God’s love has been poured into our hearts through the Holy Spirit that has been given to us. 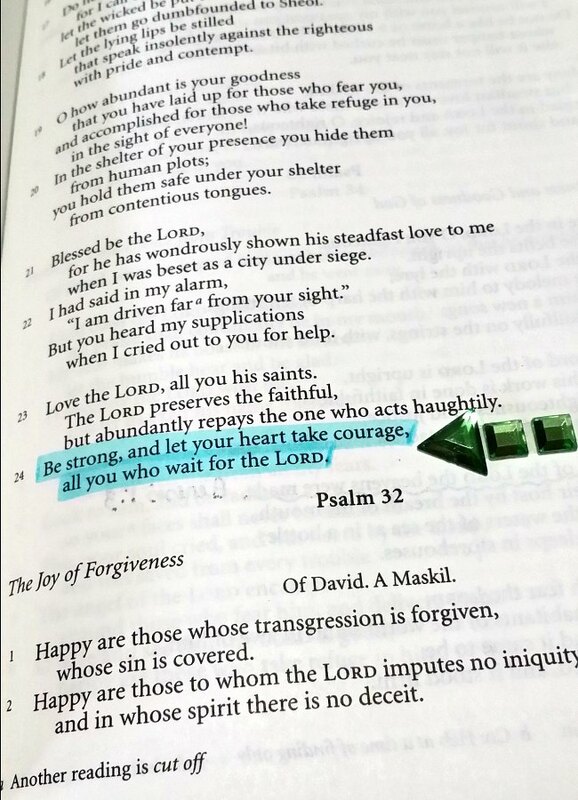 I also love the Psalm above….Psalm 32. “Happy are those whose transgressions are forgiven, whose sin is covered. Happy is the man whose sin the LORD does not count against Him.” Praise the Lord he nailed our sin to the cross for we could never stand before Him if He counted it against us. That surely fills us with rest in our hearts! Thank you for all of your beautiful thoughts. Thank you for this. I too tend to see “Wait for the Lord” as something active. For me it is something like: “Commit to God’s project, and work towards it, it will happen in God’s time…” I pray that all those things you pray and hope for will come to be. Thanks for your perspective Clare. Since the comments on this post I have started considering what I thought of as passive to now be an active waiting. Great to learn from such faithful women. I love your heart in this post. Waiting on God is hard! Thank God, we have the spiritual fruit of patience to employ during our wait. Also, many times the word “wait” is interchangeable with the word “hope” and I always prefer hoping over waiting. I liked your post so much I pinned it, too! Thanks Gina. Yes, I can look at this as hoping rather than waiting. I appreciate your insight. Dear Lord, did I marry the man that you willed? Dear Lord, was I supposed to have this many children or did I completely fail NFP? 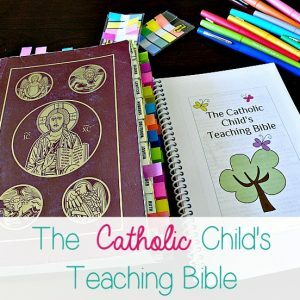 Dear Lord, will my children be saved? And with the last one, I’m trying to let go of the temptation to believe that everything depends on me. Thank you Michelle, your insight is always so helpful for me. I’ve always thought of wait on the Lord as active, not passive. I defined “wait” as to serve, like a waiter. 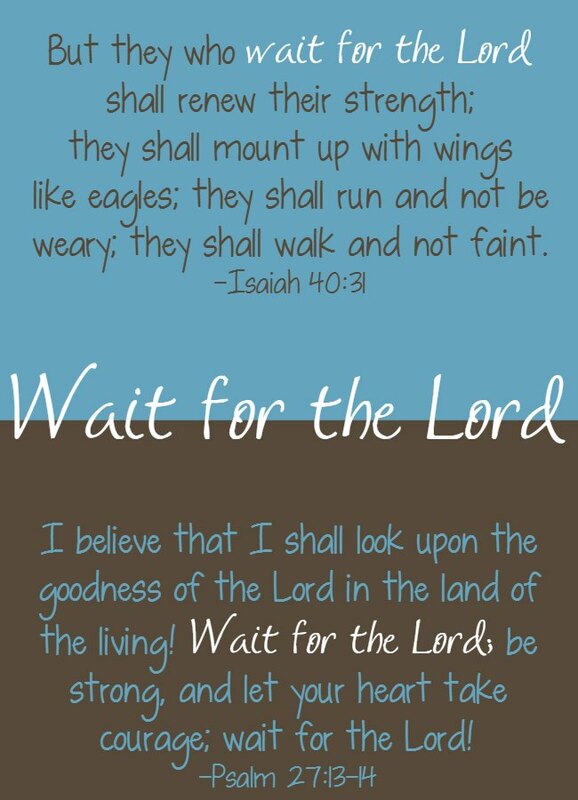 My Bible translation says Wait on the Lord. Therefore, I realated it as Serve the Lord, Just my take on it, I hope that’s okay to share. Of course it’s ok to share. I actually read your comment right before bed last night so I fell asleep pondering this active view of waiting…as service.